Upload the info and design of your door hanger either in our Upload File section, or the Checkout section. If the mailbox isn't a quick enough method to send a message, just hang it right on the door! 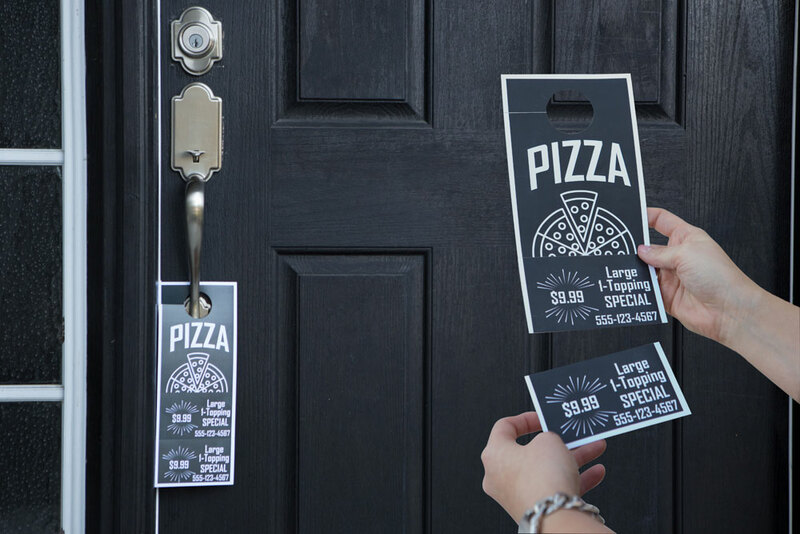 Door Hangers are a simple way to deliver info in the most obvious place, right at the front door. For awareness or advertising, give them a heads-up the moment they come home.